Georgia's former president Mikheil Saakashvili has a duty to answer the questions that he is asked in Georgia, Georgian President Giorgi Margvelashvili said. 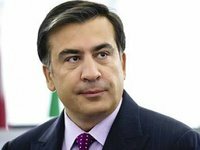 "I think Mr. Saakashvili left Georgia and gave up Georgian citizenship in such a way that he left a lot of questions unanswered," Margvelashvili said in an interview with Lithuanian Public Broadcaster, whose content was published by the Georgian Presidential Administration on Wednesday. Saakashvili, who served two terms as president, has a responsibility to respect the court and law enforcement agencies, he said. "He was president twice, and it is his responsibility to answer to the state institutions. We can only determine whether the questions to him were appropriate or politically motivated after he answers them," Margvelashvili said in response to a journalist who said that people in the West believe Saakashvili is being subjected to political persecution in his home country.